Production of The Godfather was a legendarily tumultuous ordeal between Francis Ford Coppola and Paramount Pictures, from the choice to hire him all the way through the release of the film. Casting was a particularly ugly back-and-forth, as the studio suggested Ernest Borgnine for Vito Corleone and Robert Redford or Ryan O’Neal for Michael. But Coppola had extensive ideas for potential casting, displayed by a handwritten list of actors from preproduction, on display at Coppola’s wineries in Napa. 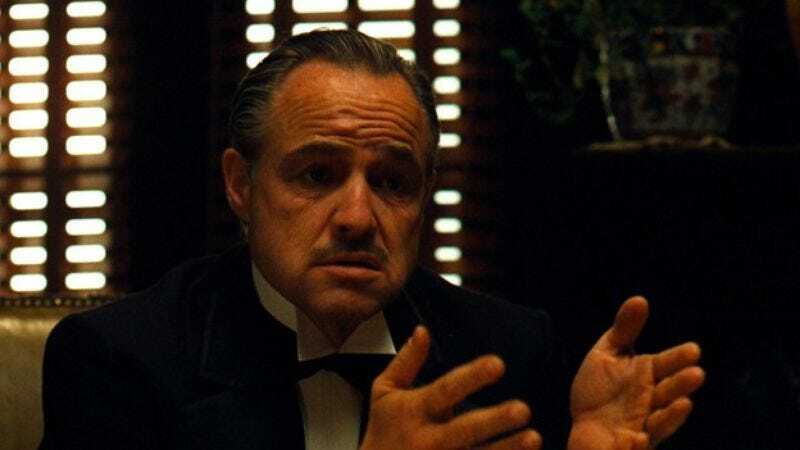 Marlon Brando, Al Pacino, James Caan, and Robert Duvall are all on the list—as well as Godfather Part II cast member Robert DeNiro—but the other notable names offer a completely different vision of the film. Imagine if Laurence Olivier, Dustin Hoffman, Peter Falk, and Peter Donat won the roles of Vito, Michael, Sonny, and Tom Hagen. Or more intriguingly, look at all the unrecognizable names that could have been a part of one of the most iconic films ever made, but just didn’t quite make the cut.